It's very similar to the April results, but there's some changes. You can see they've narrowed it down to Sweden, Czech Republic and Germany, along with "broadly Northwestern European". I am a member of haplogroup J. This haplogroup is the final destination of a genetic journey that began some 150,000 years ago with an ancient mtDNA haplogroup called L3. Haplogroup L3 occurs only in Africa, but on that continent its derivatives are found nearly everywhere. L3's subclades are most prevalent in East Africa. 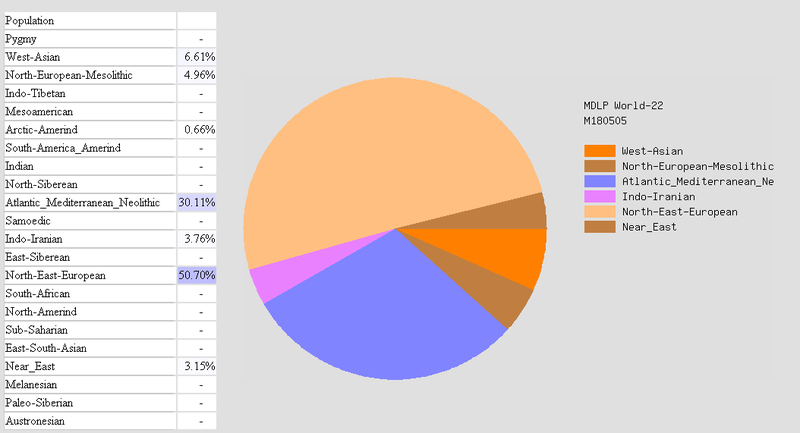 A single person of the L3 lineage gave rise to the M and N haplogroups some 80,000 years ago. All Eurasian mtDNA lineages are subsequently descended from these two groups, and were the first human migrations out of Africa. The macro-haplogroup N is composed of many subclades, which are often geographically distant. Haplogroup R is descended from N and has since dispersed across much of the globe. The lineage, in its many subgroups, appears on all continents except Australia and Antartica. Subgroups preHV, U, T, and J are found in Europe and the Near East. The R5 and R6 lineages arose on the Indian subcontinent. Perhaps I come by my attraction to Egyptian things naturally, for look where my ancestors passed through or by! One theory is they followed the Nile River northwards. Haplogroup J arose some 10,000 years ago (on the R line of descent) in the Near East. The members of this group were among the first farmers during a period known as the Neolithic Revolution. The lineage's early agricultural successes spawned population booms and encouraged migration from the Middle East north and west into Europe. The growth of farming was directly responsible for the rise of modern, sedentary communities and cities. Today this lineage is found throughout Europe, with concentrations in western Eurasia - the Caucasus, Russia (west of the Ural mountain), and the region of the eastern Baltic Sea. 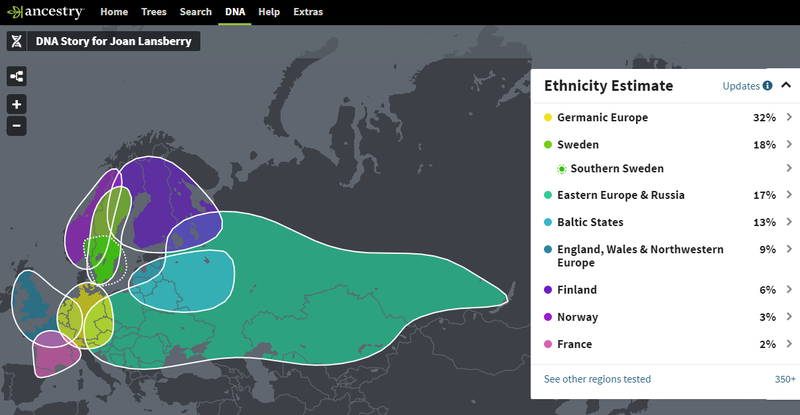 On the WESTERN side of the Baltic Sea is Sweden, from where my Grandmother on my Father's side traces her ancestry. The seeds of 'me' were carried that far, all the way from Africa. Was it on foot, or did my ancestors use horses? 'Scatterlings of Africa' plays in my mind. I don't look like my mother, but I do look like my maternal grandmother. Here are each of us captured in our forties. "Maternal haplogroups are families of mitochondrial DNA types that all trace back to a single mutation at a specific place and time. By looking at the geographic distribution of mtDNA types, we learn how our ancient female ancesters migrated throughout the world." "Along your mother's line, you have ancestry in Europe/the Near East in the past few hundred years, that traces back to east Africa around 50,000 years ago." 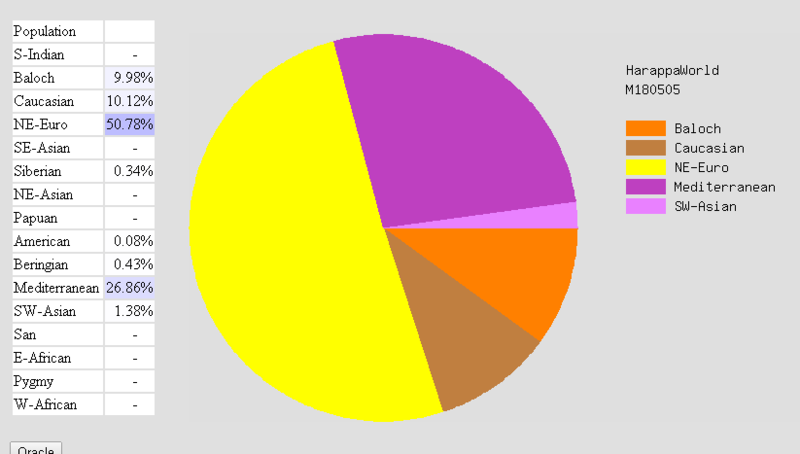 The Nat Geo swab test revealed I am of haplogroup J. 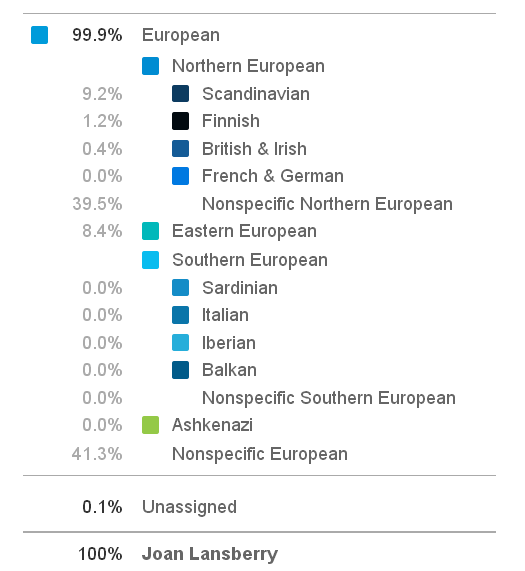 The 23andme spit test revealed further: I am J2b1a, which is a subgroup of J2, and Haplogroup J2 is a subgroup of J. Highlight: J2 may have entered Britain with invading Anglo-Saxons. along with "broadly Northwestern European".